Harry invokes RASHOMON while talking about MALEFICENT! Burton?s ALICE IN WONDERLAND is a bizarre strange marvel ? and I call it a marvel cuz while watching it?? I marvel at how bizarre it was. 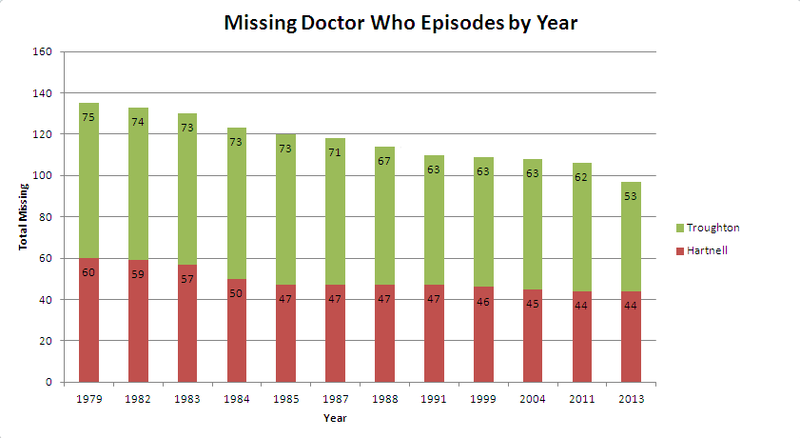 The above says it all - the number of episodes of Doctor Who missing by year, the reason for the drop is due to pure look and the dedication of Doctor Who fans in searching for missing episodes. For more information, go to The Destruction of Time: What Is Missing. Currently, Get iPlayer Automator allows you to download and watch BBC & ITV shows on your Mac. Series-Link/PVR functionality ensures you will never miss your favourite shows. Programmes are fully tagged and added to iTunes automatically upon completion. It is simple and easy to use, and runs on any machine running Mac OS X 10.6 or later. I've created in C# an algorithm that solves sudoku using the brute force method. This algorithm is contained in the class csSudokuBruteForce.cs that can be found on GitHub?here. The?csSudokuBruteForce class contains a class called csCell which represents a cell within a sudoku grid with properties representing the row, column, box that cell belongs to, the cell's value and whether it is solved; 81 of these cells are stored within a generic list called grid which represent sudoku. The public method BruteForce is called to begin the brute algorithm, which returns a integer array representing the solved sudoku. Testing on Quad core PC shows that solutions can be found in under a second for any tried. This algorithm doesn't test the validity of the provided sudoku before it starts the brute force algorithm, and may therefore crash out if what is given to it is incomplete, malformed, containing incorrect characters. It just assumes it'll get a string 81 characters in length that consists of only the numbers 1 to 9 and 0. What about Project Euler 96? No. I'm not going to tell you how to to solve it. It uses loads the text file into a generic list, and then uses Linq to extract the required data from that file. Use your brain and work out how to use it yourself. A C# algorithm to build interesting cave systems for your Roguelike part 1 UPDATED!!!! I've been playing roguelikes for the last twenty years or so, and one thing that has consistently annoyed me is that dungeons, on the whole, tend to be rectangular rooms connected with long, straight corridors that turn at right angles. I've never came across a roguelike that has complex, chaotic looking cave systems with twisting corridors ?and misshapen rooms, and that has annoyed me so much I decided to put together a simple algoritm in C# to generate such a system. Here's an example of a complex cave systems generated by my code, and below that I discuss the code used to generate it. I have been blown away by the interest from the users of Reddit's Unity3D? 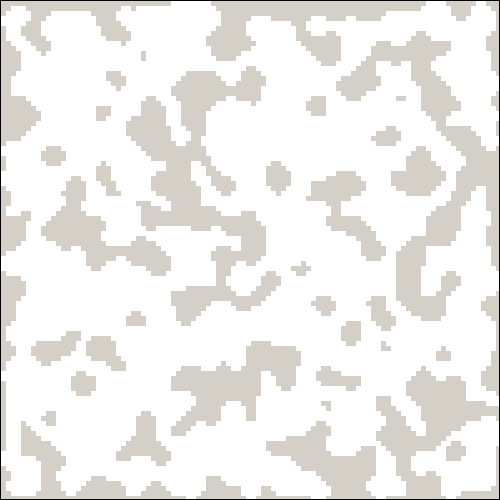 ?and made an update to the code allowing users to generate a Bitmap of the generated map. See here for more details. Cells are randomly visited and the number of neighbours that cell has is used to determine whether to close it or open it. 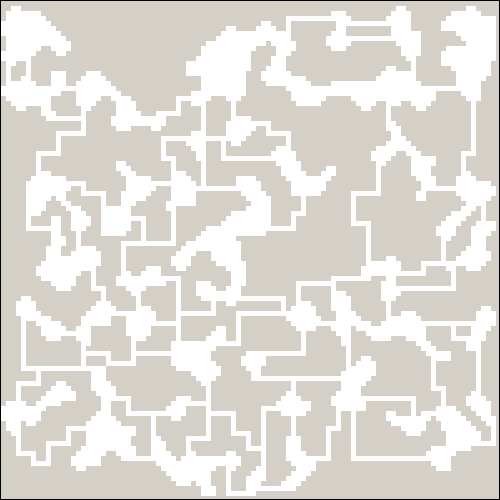 By repeating the second step thousands of times, "blobs" or "caves" start to form which. ?By adjusting various available properties the characteristics of the caves formed can change considerably, which can lead to some very interesting cave systems being formed. 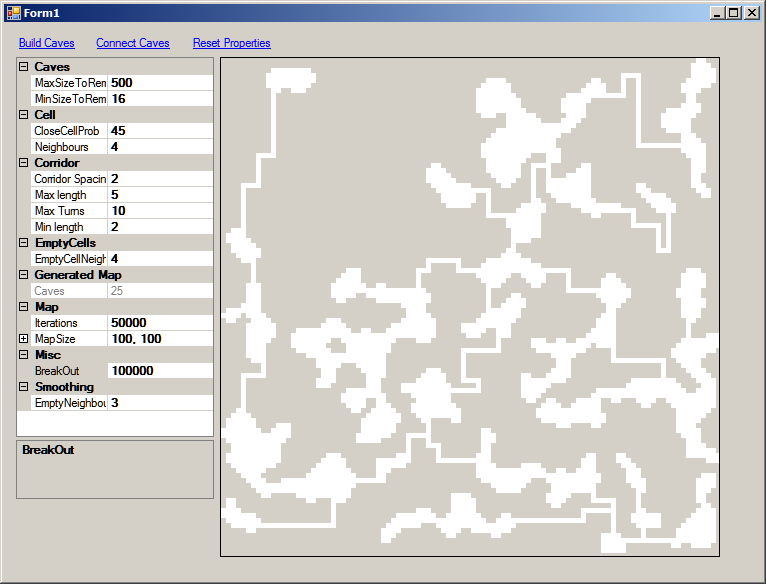 After caves have been generated, a flood fill based algorithm locates each cave and the data for each cave into a generic list. With this list of caves they can be easily connected together with?a dumb corridor building routine is used to try and connect the caves. 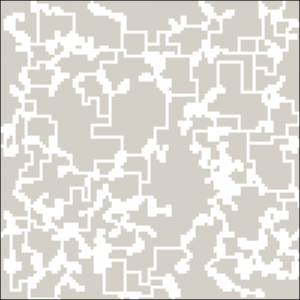 This works by randomly selecting a cave and growing a corridor in a random direction and seeing if it hits another cave within a time period determined by a series of properties. If sucessful the two connected caves are placed in a list, and a further attempt is made to connect one of those caves to another, and so on. You can find a simple C# application which demos the algorithm I've written?here, and below is a screenshot of it. Property grid - the properties which govern the generation of the cave system. 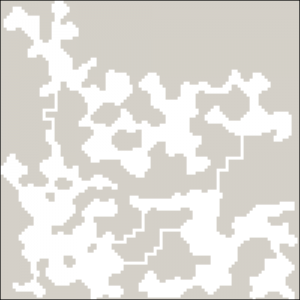 Picturebox - displays the generated cave system. Build Caves - click to build a cave system. Connect Caves - click to connect the caves. Reset Properties - click the reset the property values to their default state. Simply put, to build a cave system click the?Build Caves button, and to change the appearance of a cave system fiddle with the properties. Filling -?Fills in holes within caves: an open cell with this number closed neighbours is closed. Lower Limit - the minimum size of caves allowed. If a cave is smaller than this number, it will be removed. Upper Limit -?the maximum size of caves allowed. If a cave is larger than this number, it will be removed. Close Cell Prob - this value determines the chance of closing a visited cell. Cells to visit - the number of cells to visit during the generation process. Map Size - guess what this does. Neighbours - when this value is equalled or exceeded, change the cell state. Breakout ?- a counter value, that when exceeded stops attempting to generate corridors. Stops the corridor building process from getting stuck. Corridor Spacing?- the number of empty cells the corridor has to have on either side of it for it to be built. This is dependant upon the direction it is travelling. If travelling north, it must have that number of empty cells to the east and west of it. Minimum Length?- the minimum length of a corridor. Maximum Length?- the maximum length of a corridor. Maximum Turns?- the maximum number of direction changes a corridor can make whilst it is being built. Caves - the number of caves in the generated system. The code used to generate a caver system is contained within the class csCaveGenerator.cs, which sits in a standard C# form with a few controls on it which can manipulate that class. For an overview of the class?csCaveGenerator.cs, click here. For a more detailed look at using the class csCaveGenerator.cs, click here. To view the class?csCaveGenerator.cs in GitHub click?here. Playing around with the properties can produce cave systems with markedly different appearances, here are a few interesting systems that can be produced. and clicking build a few times produced these three lovely caves. And clicking build, produces lots of little chunky caves with straight edges, packed closer together. And clicking Go a few times will produce a lovely, humongous cave, as shown below. Github: To view the class?csCaveGenerator.cs,?which is used to generate the cave system, click?here. To download a C# app which demos the Cave Generator algorithm click??here. Contains the properties used to control the appearance of the cave system being generated. Discussed in detail in part 1. Contains the class constructor and the method Build() which generates the caves. This contains the generic lists used to hold cave system data: Caves, Corridors and Map. Directions: four points which represent North, South, East and West. Directions1: 8 points which represent?North, South, East, West, North East, North West, South East and South West. These lists are used to examine the neighbours of a cell for the cave generation, smoothing and filling operations. 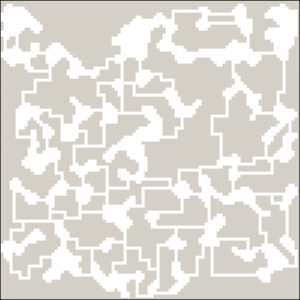 This contains three methods used to locate discrete caves on the map and place them in the generic list?Caves. ?The method GetCaves() is called to do this - which uses a recursive flood fill algorithm. Contains the method?ConnectCaves(), a brute force method which randomly attempts to connect caves. Dependant upon methods in the Cave Related Region. Which are all used by the method ConnectCaves(). A series of methods used for manipulating map cells. This excellent article examines the canvas element in detail, clearly and concisely.